Posted on June 7, 2018 by Megan V.
Imagine being caught in a prison like setting, treated by people who should be treating you better. You often see things that shouldn’t be there more than often because of it. Believe it or not, this was the setting for a mental hospital in the 1960s, which is where One Flew Over the Cuckoo Nest is set, with the narrator Chief Bromden. He is just trying to stay under the radar, not trying to leave the hospital despite its abuses. That is, until he meets McMurphy who teaches him and the other men in his ward how to live. Overall, I really enjoyed this book. If you have watched the movie, it is quite different, as the narrator in the movie is McMurphy while in the book it is Chief, in which we find out from the beginning that Chief is pretending to be deaf and dumb instead of in the middle like in the movie. Despite knowing this, Chief and McMurphy are still enjoyable characters. McMurphy is very charismatic and like the best friend in our school that we all know who manages to make the teachers mad by laughing in the back of the class and making fun of their lessons. Additionally, we see Chief as he goes through a period of growth in his life, as we as the reader see how he changes because of McMurphy, and I see this change as something amazing, and it is remarkable how much Chief changes from the first page to the last page. Additionally, Ken Kesey has a very interesting view of motion, especially around this time. This book was made during the 1960s, just fresh out of the fifties and its idea that women should stay in the home and do domestic work while the men did the “real” work. However, the women are not as sweet as they are often portrayed in other media to be. In fact, one of these women is actually considered as the main antagonist of the novel, seen as the devil by the men. From a different perspective, seeing them in this novel shows how human women actually are, which we would not usually see in a novel of this time. For example, we see how one of the women are considered mean to their husband, but only because they have been treated as a child by their husband. Also, surprisingly, the book is very funny. For example, Kesey makes fun of every single little thing in the novel, from playing hooky to pranking the head nurse. However, it should be noted that Kesey wrote the book to protest the real life situations that were happening to people in mental hospitals at the time, even if they were not really mentally ill. From this, he was pushing a real life problem unto us, the readers, in hopes that it would change. It may not change, as it could be happening today too, but I really appreciate an author who at least tries to make a change with a very good book. Overall, this book was very enjoyable, and I will encourage everyone to read it. 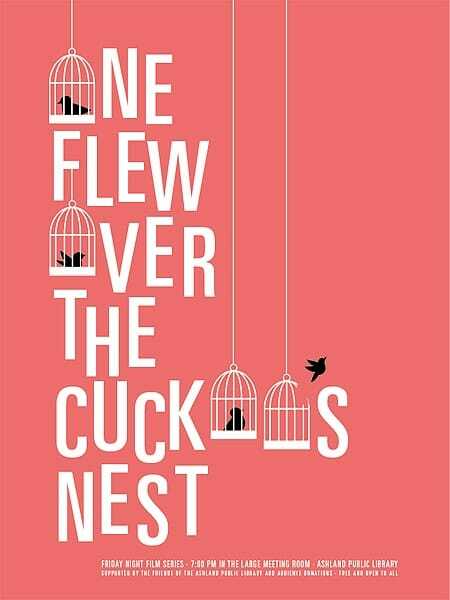 One Flew Over the Cuckoo’s Nest by Ken Kesey is available for checkout from the Mission Viejo Library. This entry was posted in Book Reviews and tagged hospitals, mental illness, psychiatric patients by Megan V.. Bookmark the permalink.